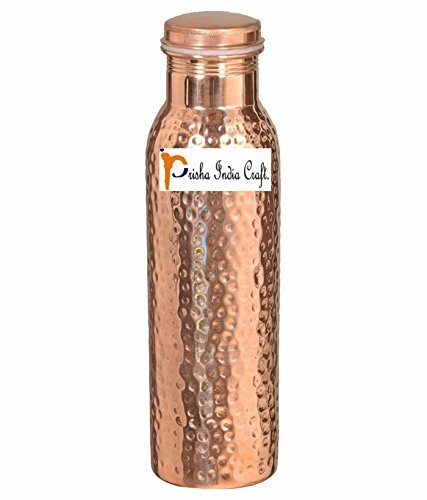 Prisha India Craft Copper Water Bottle is designed to bring the ancient remedy of copper water pitchers to modern homes, so that you can keep water in a traditional Ayurveda healing vessel. 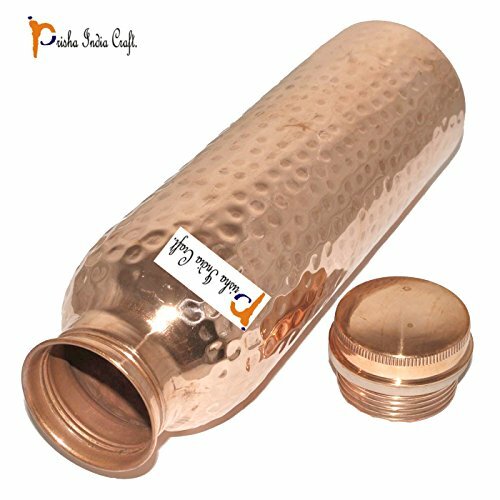 By simply filling the carafe with water and letting it sit for 6 to 12 hours, you'll be able to benefit from the Ayurveda healing remedy. After this you can wash your mouth and brush your teeth. It is also advisable not to take tea for at least 45 minutes. 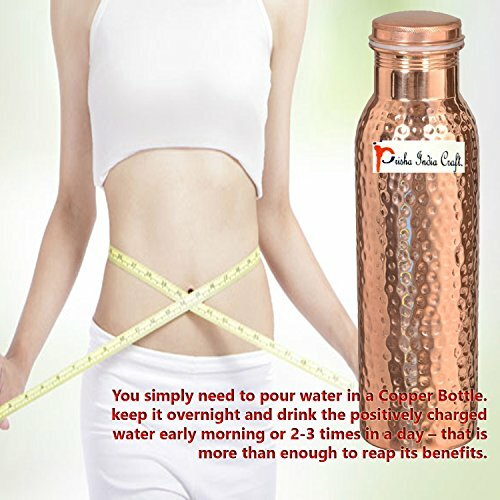 Patients who cannot drink four glasses of water at a time, can start with smaller quantity and increase the quantity gradually. There are no diseases in the world which cannot be cured by this method. 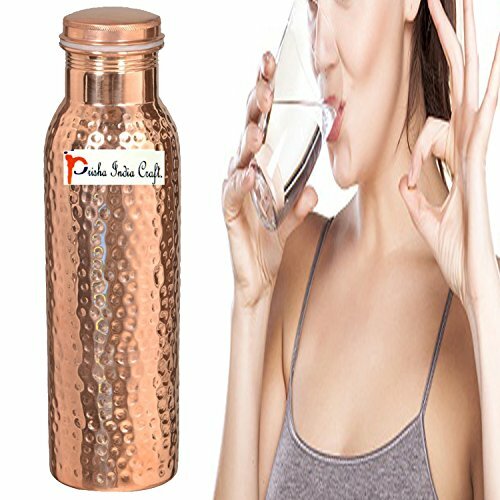 It is useful to drink water before sunrise for all including healthy persons. 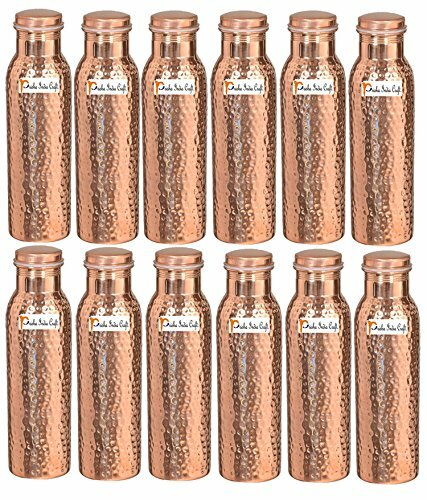 There are many benefits to be enjoyed by storing water in copper bottles. Order with confidence - We offer a 100% Satisfaction Guarantee! 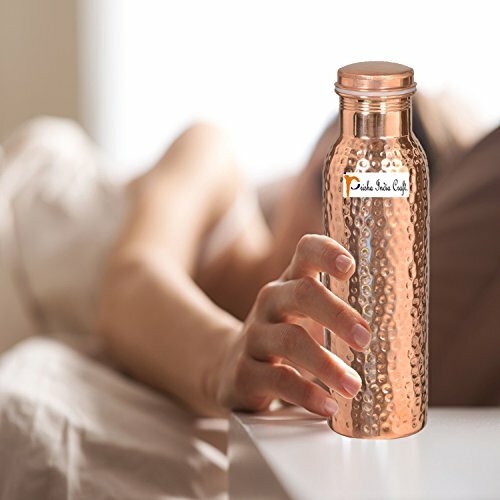 THE PERFECT WAY TO CHILL WATER Copper Bottles helps water stay cooler for longer. 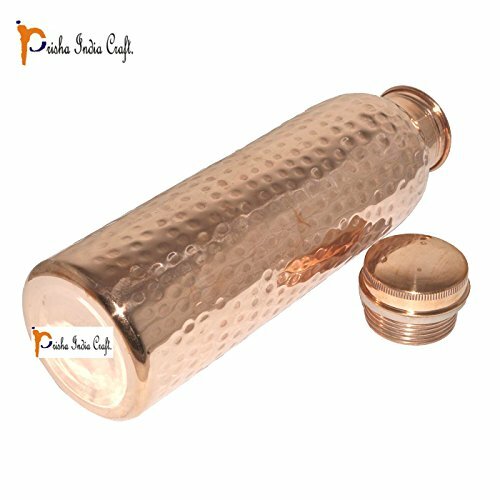 This Bottle is Heat Sensitive; Let Hot Drinks such as hot water, tea than bottle Will be Hot. 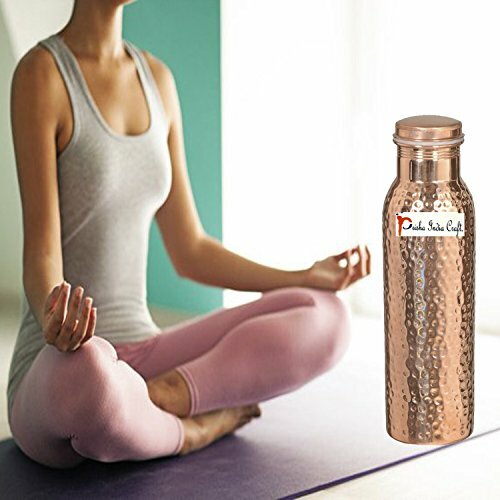 Made Of Pure Copper, Holds 900 Ml Water, Made In India,Feel amazing from the ayurvedic benefits of copper! 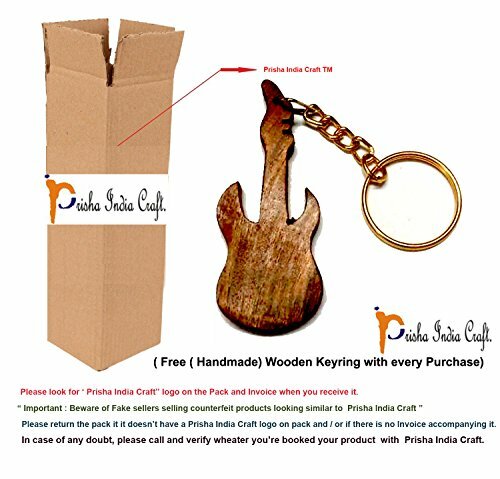 WITH THIS PRODUCT YOU WILL RECEIVE WOODEN KEYRING - BEST QUALITY ELEGANT GIFT.